Available for a limited time only! Get it before it is gone! A taste to be shared during the holiday season! A rich and creamy blend of Eggnog flavor is added to our gourmet South and Central American coffee beans and then is topped with a hint of nutmeg flavor. With the smooth Eggnog taste, this selection is sure to warm your heart on a cold winter’s morning. Reminisce about holiday traditions during all of your holiday gatherings with a warm cup of Eggnog. 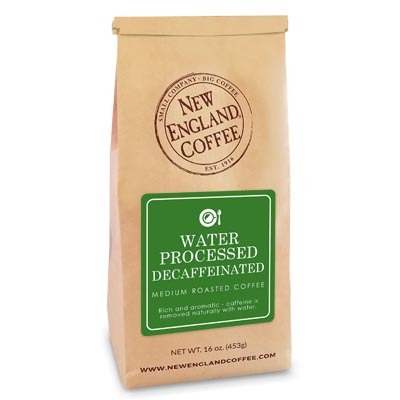 Never liked flavored coffee but it is excellent. Wish you had more! Love the smooth taste a and wonderful smell first thing in the morning. I am so sorry this is out of stock!!! I bought mine at Bed, Bath and Beyond; but when I went back for another box, it was gone. I ordered a competitor’s version, which wasn’t quite as good; but they have discontinued the flavor. HELP! Egg Nog is one of New England’s best.To bad they couldn’t meet the demand for the Holidays in the single serve department .I drink nothing but New Enland.Got 4 bags to brew at home But it does not help me at work. Will you ever bring back the Spicy Eggnog Coffee in K Cups? I loved that coffee and Frank it all year around. I really miss not having it. Please let me know if you bring it back. Thank you! Please please please bring this back!!!! 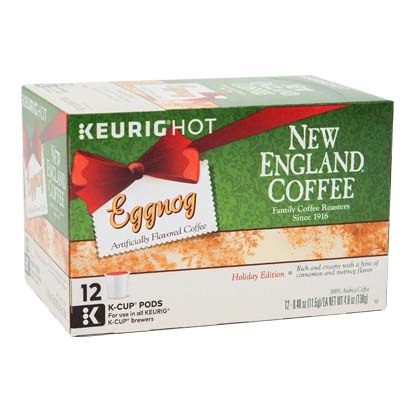 Please bring back the Eggnog coffee K-cups. It is the best tasting eggnog coffee available. Thank you!!! PLEASE bring back the Spicy Eggnog kcups!! !